The Health and Safety (Display Screen Equipment) Regulations 1992 require employers to ‘carry out a suitable and sufficient analysis of their screen equipment users’ workstations and assess the health and safety risks to which those users are exposed’. However, at first sight the regulations appear to contain so many detailed demands that compliance with the same might leave no time for the Company to carry out its main business. UK Safety can assist in workstation analyses and provide advice on what may need to be done to conform with the Regulations and just as important, what does not need to be done. 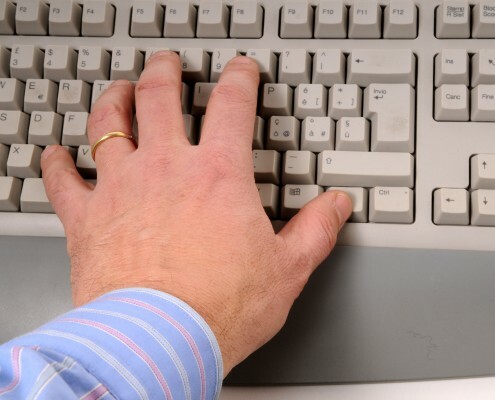 We take the view that such risk assessment can help prevent cases of repetitive strain injury (RSI) and work related upper limb disorders (WRULDs) arising, along with the often huge compensation amounts awarded to alleged victims of such ailments. At the same time we can advice when spurious claims for expensive accessories and furniture are being made by staff when such claims are unjustified. UK Safety have had many years of experience in interpreting the often general nature of these regulations and checking employee claims to the advantage of the employer, saving the latter many thousands of pounds in the process. We take the view that the prime concern of the employer is his business and regard health and safety at work not as a burden but as a matter which should be cost effective and conducive to profitability are production.